Di Wu joined Pacific Northwest National Laboratory (PNNL) in 2012. 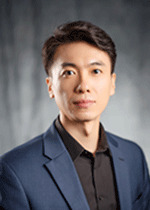 His research interests include distributed control and coordination in power systems, operational planning and optimization of energy storage, distributed control, and water-energy nexus. Before joining PNNL, his research mainly focuses on the impacts of plug-in electric vehicles on power systems and planning of national energy and transportation infrastructure. Dr. Wu is a member of the IEEE Power and Energy Society and Control Systems Society. He also serves as Associate Editor for IEEE Power and Energy Technology Systems Journal. Makarov Y.V., R. Diao, P.V. Etingov, Z. Hou, Z. Huang, D. Meng, and L.E. Miller, et al. 2015. Stochastic Operations and Planning. PNNL-23680. Richland, WA: Pacific Northwest National Laboratory. Etingov P.V., Y.V. Makarov, D. Wu, Z. Hou, Y. Sun, S. Maslennikov, and X. Luo, et al. 2013. Analysis of ISO NE Balancing Requirements: Uncertainty-based Secure Ranges for ISO New England Dynamic Inerchange Adjustments. PNNL-22222. Richland, WA: Pacific Northwest National Laboratory. Samaan N.A., R. Bayless, M. Symonds, T.B. Nguyen, C. Jin, D. Wu, and R. Diao, et al. 2013. Analysis of Benefits of an Energy Imbalance Market in the NWPP. PNNL-22877. Richland, WA: Pacific Northwest National Laboratory.